This summer, computer science major Heidi Lyons had the unique opportunity to intern at eBay, the billion-dollar multinational e-commerce corporation based in San Jose, California. Heidi recently sat down with us to share how her experiences in Pullman and Silicon Valley are setting her up for a bright career. Heidi, how did you land an internship with eBay? Last October, I had the opportunity to attend the Grace Hopper Celebration, the world’s largest conference for women technologists. There were 15,000+ attendees from across the world, with several different speakers, tech talks, and a massive career fair. eBay is one of many tech companies that sponsors women to attend GHC, which is how I got an interview and landed the internship. What was interning at eBay like? Luckily, I had a lot of support from my teammates. Working alongside other interns was a great experience too. We were able to learn new concepts together and grow as engineers. 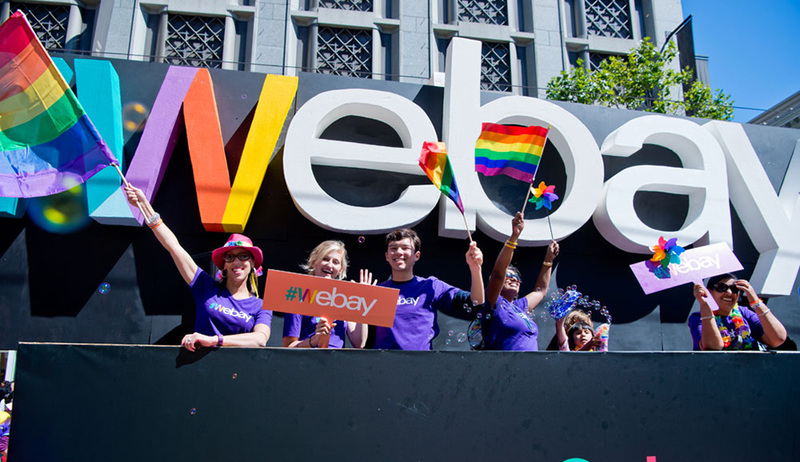 Lyons celebrates Pride Day with eBay in San Francisco. What did you learn at eBay? I learned so much about how a global company operates. My project related closely to cross- border trade, which essentially consists of a framework that determines which countries an item can be listed in based on various shipping, legal, and business rules. It was really interesting to learn about what happens behind the scenes. I also learned a lot about teamwork dynamics. I was surprised to find that a lot of my day was spent collaborating with my coworkers and meeting with teams across the company. Transparency is a huge deal when writing code, so everyone has to be on the same page on what their requirements are. I learned a lot about the importance of having a good team, and working for a company that values you as a person and as a professional. What do you like about being a computer scientist? I like computer science because it allows you to be both technical and creative in the work you do. You get the opportunity to solve complex problems, and work on things that many people don’t understand. How does a computer scientist get involved with car racing? Lyons in the driver’s seat during SAE Nationals in Michigan. 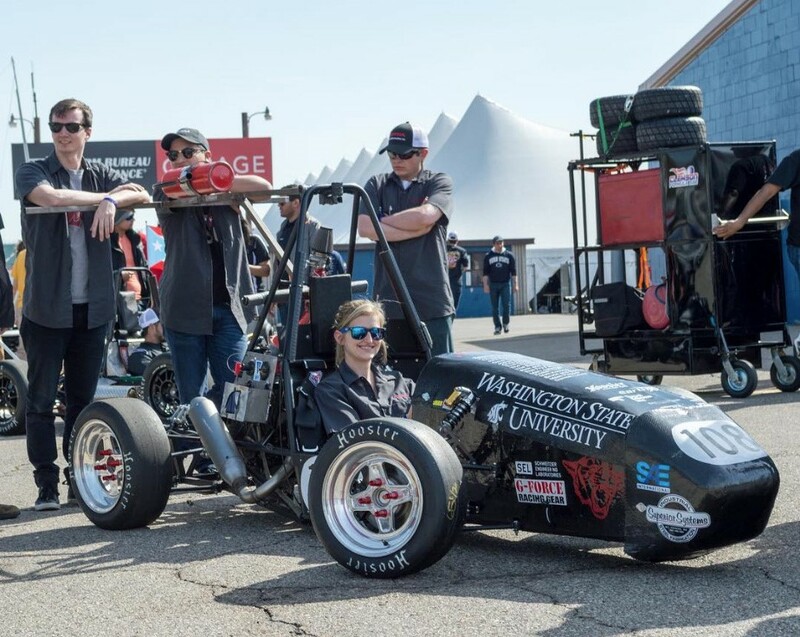 First and foremost, WAZZU Racing – WSU’s Formula Society of Automotive Engineers club – welcomes students from all majors and disciplines. If you have a passion for cars, the team would love to have you! I’ll be honest, I didn’t know a whole lot about subsystems or powertrain work when I joined, but I wanted to contribute my skills to the club in some way. I joined WAZZU Racing to rebuild their website and to help them get a bigger footprint online. This team is run by an extremely talented and dedicated group of students, and it was cool to see them make it to competition in Michigan. I’m excited to see what we come up with next season! I’m planning a backpacking trip throughout Europe! After that, I’ll start my career as a computer scientist at eBay – Yes, I accepted their offer! 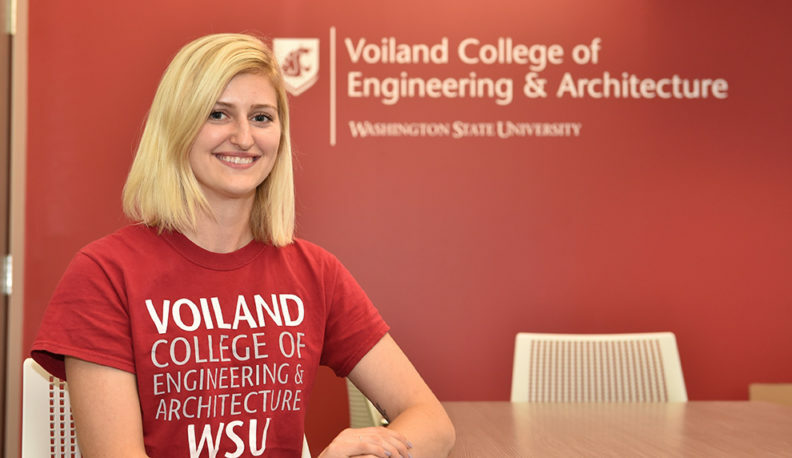 Heidi and other students from WSU’s School of Electrical Engineering and Computer Science will be attending this year’s Grace Hopper Celebration of Women in Computing Oct. 4- 6. You can follow their adventure on Twitter and Facebook using the hashtags #WSU #GHC17 . Get connected with careers and internships. Voiland College’s Professional Practice and Experiential Learning provides career-planning services, including interview prep, networking events, and job postings.